This Christmas, Hope Jensen has a goal to place 1,001 jars of spare change with families in need. Her Christmas Jars ministry--headquartered in the famous Chuck's Chicken 'n' Biscuits diner--is the same place Hope was discovered as a newborn and the same place she was reunited with her birthmother. Helping her reach her goal is an assortment of helpful friends and family, including Clark Maxwell. Romance has never been Hope's strong suit, but there is something special about Clark, and perhaps this is the year that Hope's Christmas wish for love will finally come true. Al Allred, a vistor to Chuck's, also volunteers to help Hope reach her lofty goal. But will his focus simply blind Hope to the truth she needs to see? And then there is Queen, a very special little girl with one very special request this Christmas. As the big day draws nearer, Hope learns the most important lesson of the Christmas Jar. A lesson that will change her life forever. 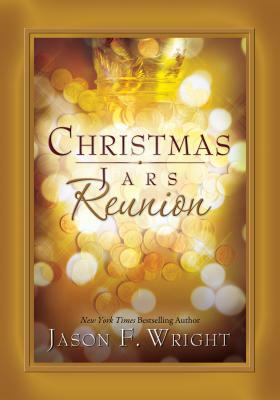 Jason F. Wright is the New York Times best-selling author of Christmas Jars, The James Miracle, The Wednesday Letters, and The Wedding Letters. He lives with his wife, Kodi, and their four children in the Shenandoah Valley of Virginia.